Background: Patients with schizophrenia can experience a deteriorated performance in many of the skills needed in daily life, the workplace, the family circle, or in social interactions. Objective: This definitive study used comparison to evaluate the functionality, treatment compliance to therapy, and styles of coping with stress of schizophrenic patients who work and are members of an association. Methods: The individuals participating in this study were divided into four groups. Group 1 were members of an association and employed; Group 2 were members of an association and unemployed; Group 3 comprised non-members who were employed; and group 4 were non-members and unemployed. A total of 60 patients (15 in each group) comprised the sample. Data was collected by means of the Individual Information Form, the Adaptation Rate Scale for Medical Therapy, the Functional Recovery Scale in Schizophrenia Patients, and the Scale for Coping with Stress. Statistical analyses and interpretations were conducted using frequency and percentage, t test, and analysis of variance (ANOVA) to assess the data. Results: It was observed that being a member of an association and working at a job affected the social and occupational functionalities in schizophrenia patients participating in the study, but the styles of therapy adaptation and coping with stress did not affect these areas. Conclusion: Results indicated that the use of current antipsychotic drugs did not affect functional areas, therapy adaptation, or styles of coping with stress. Yıldız M. Schizophrenia Treatment of Mental and Social Initiatives. In: Ceylan ME, Cetin M, eds. Schizophrenia. Istanbul: İncekara Kağıt Typography; 2009:1403-1413. Güneş D. Objective and Subjective Evaluation of the Quality of Life and Social Functioning of Şizofr new patients. [Thesis]. Istanbul: Bakırköy Prof. Dr. Mazhar Osman Mental Health and Neurological Diseases Training and Research Hospital; 2010. Emiroğlu B. Validity and reliability study of the Turkish version of the Functional Remission in Schizophrenia Patients [Master’s thesis]. Istanbul: Maltepe University; 2009. Olfson M, Mechanic D, Hansell S, Boyer CA, Walkup J, Weiden PJ. Predicting medication noncompliance after hospital discharge among patients with schizophrenia. Psychiatr Serv. 2000;51(2):216-222. doi:10.1176/appi.ps.51.2.216. Eryıldız D. The day hospital and rehabilitation center on the ongoing rehabilitation of chronic schizophrenic patients with chronic schizophrenia patients who participate in the program compared in terms of functionality and quality of life [Dissertation]. Istanbul: Bakırköy Prof. Dr. Mazhar Osman Mental Health and Neurological Diseases Training and Research Hospital; 2009. Işık E. Current Schizophrenia. Ankara: Format Typography; 2006. Yıldız M. Psychiatric rehabilitation. In: Community Mental Health of Individuals. 1st ed. Istanbul: Erler Typographyk; 2005:151-164. Gülseren L. [Schizophrenia and the family: difficulties, burdens,emotions, needs]. Turk Psikiyatri Derg. 2002;13(2):143-151. [Turkish]. Sadock BJ, Sadock VA. Comprehensive textbook of psychiatry. Aydın H, Bozkurt A, Trans. Ankara: Sun Bookstore; 2007. Öztürk MO, Uluşahin A, eds. Mental Health Disorders. 11th ed. Ankara: Tuna Typography; 2008 :306-317. Alıcıkuşu HA. Attitudes with the psychiatric treatment of schizophrenia [Master’s thesis]. Gaziantep: Gaziantep University; 2009. Yazıcı A, Coşkun S. (Bakırköy Mental Health and Diseases Hospital) day hospital and rehabilitation centre patient profile and study program. Anatolian Journal of Psychiatry. 2008;9(1):21-23. Andreasen NC, Carpenter WT Jr., Kane JM, Lasser RA, Marder SR, Weinberger DR. Remission in schizophrenia: proposed criteria and rationale for consensus. Am J Psychiatry. 2005;162(3):441-449. doi:10.1176/appi.ajp.162.3.441. Myin-Germeys I, Krabbendam L, Jolles J, Delespaul PA, van Os J. Are cognitive impairments associated with sensitivity to stress in schizophrenia? An experience sampling study. Am J Psychiatry. 2002;159(3):443-449. doi:10.1176/appi.ajp.159.3.443. Akpınar Ş. Applies to Schizophrenia Quality of Life Problem Solving Skills Development Program and Effects of Social Functioning Levels [Master’s Thesis]. Sivas: Cumhuriyet University; 2008. Barlas ÜG, Işıl Ö. Evaluation of the Effectiveness of Patient with Chronic Schizophrenia Psychosocial Skills Training. Maltepe University School of Nursing Science and Arts Magazine, Special Issue Symposium; 2010:312-317. Dilbaz N, Darçın EA. Treatment of schizophrenia and substance use disorder comorbid patients. Clin Psychopharmacol Bull. 2011;21:80-90. Angell B, Test MA. The relationship of clinical factors and environmental opportunities to social functioning in young adults with schizophrenia. Schizophr Bull. 2002;28(2):259-271. Yıldız M, Kutlu H, Tural Ü. Demographic and clinical characteristics of cognitive function is affected in schizophrenia? Clin Psychopharmacol Bull. 2011;21(2):131-139. Cobanoglu D, Aker T, Çobanoğlu N. Schizophrenia and other psychotic disorders in patients with treatment compliance issues. Dusni Adam. 2003;16(4):211-218. Henry AD, Lucca AM, Banks S, Simon L, Page S. Inpatient hospitalizations and emergency service visits among participants in an Individual Placement and Support (IPS) model program. Ment Health Serv Res. 2004;6(4):227-237. Compton MT, Rudisch BE, Craw J, Thompson T, Owens DA. Predictors of missed first appointments at community mental health centers after psychiatric hospitalization. Psychiatr Serv. 2006;57(4):531-537. doi:10.1176/ps.2006.57.4.531. Chan H, Inoue S, Shimodera S, et al. 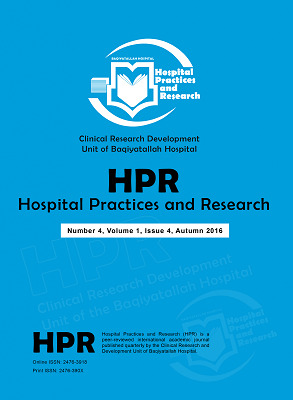 Residential program for long-term hospitalized persons with mental illness in Japan: Randomized controlled trial. Psychiatry Clin Neurosci. 2007;61(5):515-521. doi:10.1111/j.1440-1819.2007.01701.x. Sevinçok L. Psychosocial Causes of Schizophrenia Etiology. 2000. Schizophrenia Series 15. Yazıcı A. Mental Training in family and group therapy in patients with schizophrenia. Spring Symposium 2008;4:3-20. Salokangas RK, Honkonen T, Stengard E, Koivisto AM. To be or not to be married--that is the question of quality of life in men with schizophrenia. Soc Psychiatry Psychiatr Epidemiol. 2001;36(8):381-390. Cardoso CS, Caiaffa WT, Bandeira M, Siqueira AL, Abreu MN, Fonseca JO. Factors associated with low quality of life in schizophrenia. Cad Saude Publica. 2005;21(5):1338-1340. doi:10.1590/S0102-311X2005000500005. Usall J, Araya S, Ochoa S, Busquets E, Gost A, Marquez M. Gender differences in a sample of schizophrenic outpatients. Compr Psychiatry. 2001;42(4):301-305. Thorup A, Petersen L, Jeppesen P, et al. Gender differences in young adults with first-episode schizophrenia spectrum disorders at baseline in the Danish OPUS study. J Nerv Ment Dis. 2007;195(5):396-405. doi:10.1097/01.nmd.0000253784.59708.dd. Erol A, Ünal KE, Tunç AE, Mete L. Predictors of social functioning in schizophrenia. Turkish J Psychiatry. 2009;20(4):313-321. Koç A. Compliance to treatment in patients with chronic psychosis and Treatment Compliance with the Associated Factors considered not to be [Thesis]. Ankara: Gazi Hospital; 2006. Rittmannsberger H, Pachinger T, Keppelmuller P, Wancata J. Medication adherence among psychotic patients before admission to inpatient treatment. Psychiatr Serv. 2004;55(2):174-179. doi:10.1176/appi.ps.55.2.174. Lacro JP, Dunn LB, Dolder CR, Leckband SG, Jeste DV. Prevalence of and risk factors for medication nonadherence in patients with schizophrenia: a comprehensive review of recent literature. J Clin Psychiatry. 2002;63(10):892-909. Simon AE, Peter M, Hess L, Valterio C. Antipsychotic use in patients with schizophrenia treated in private psychiatry. Swiss Med Wkly. 2005;135(7-8):109-115. Kayahan B, Veznedaroğlu B, Öztürk O, Ersoy AM. Atypical antipsychotic drugs in schizophrenia mini mental state examination (CBE) effect of comparative with typical antipsychotics - natural follow-up study. Anadolu Psikiyatri Derg. 2004;5:206-212. Ascher-Svanum H, Zhu B, Faries DE, Lacro JP, Dolder CR, Peng X. Adherence and persistence to typical and atypical antipsychotics in the naturalistic treatment of patients with schizophrenia. Patient Prefer Adherence. 2008;2:67-77. Diaz E, Neuse E, Sullivan MC, Pearsall HR, Woods SW. Adherence to conventional and atypical antipsychotics after hospital discharge. J Clin Psychiatry. 2004;65(3):354-360. Soykan A. Overview of Atypical Antipsychotic. Clin Psychiatry. 2000;1:13-15. Özcan EM, Gürgen F, Türkeş C. Patients with schizophrenia Coping Behaviors. Düşünen Adam. 1999;12(3):35-40. Bahar A. Evaluation of non-medical help seeking behaviour in psychiatric patients. New Symposium. 2010;48(3):216-222. Güleç G, Yenilmez Ç, Ay F. Description search behavior of disease and cure patients presenting to a psychiatric clinic in an Anatolian city. Klinik Psikiyatri. 2011;14:131-142. Tatlıdil E. The Effect of Social Functioning of Symptomatology in Schizophrenic Patients [Thesis]. Ankara: Ankara University; 2008. Glass RM. Mental disorders quality of life: inequality of insurance coverage. JAMA. 1995;274:1557. Aker T, Üstünsoy S, Kuğu N, Yazıcı A. Psychotic disorder rating scale mismatch and drug therapy compliance in patients. 36th National Psychiatry Congress; 2000; Antalya. Hofer A, Kemmler G, Eder U, Edlinger M, Hummer M, Fleischhacker WW. Quality of life in schizophrenia: the impact of psychopathology, attitude toward medication, and side effects. J Clin Psychiatry. 2004;65(7):932-939. Saylan M, Alptekin K, Akdemir A, Tetik E, Korb FA. The intercontinental schizophrenia outpatient health outcomes (ICSOHO) study: baseline clinical and functional characeristics and antipsychotic use patterns in Turkey. Bull Clinical Psychopharmacol. 2004;14:132-42. Gürhan N. Schizophrenic patients, social support, disease, and evaluation of coping with stress [PhD Thesis]. Ankara: Ankara Hacettepe University; 1995. Kemp R, Kirov G, Everitt B, Hayward P, David A. Randomised controlled trial of compliance therapy. 18-month follow-up. Br J Psychiatry. 1998;172:413-419. Brazo P, Dollfus S, Petit M. [Anti-hallucinatory coping strategies in schizophrenia]. Ann Med Psychol (Paris). 1995;153(7):456-459.